August is the height of tomato season and, if you have your own tomato plants, you’ve probably been overwhelmed by the glut. Don’t fret – we’re here with ideas, so those beautiful tomatoes won’t go to waste. It often feels like the UK gets a bit of a raw deal when it comes to tomatoes. The rest of Europe seems to have no shortage of fantastic, plump, flavourful fruits, whilst we, for the most part, have to make do with soft, fridge-cold, watery ones for most of the year. But for a few months over the summer, the tomato gods smile on our little island, and bless us with lots of delicious tomatoes, literally ripe for the picking. Sauces and soups are all well and good, but there’s so much more you can do with tomatoes, and they certainly don’t need to go to waste if you’ve a homegrower inundated by a glut. Here are eight fantastic recipes from our esteemed chefs to give you some ideas. 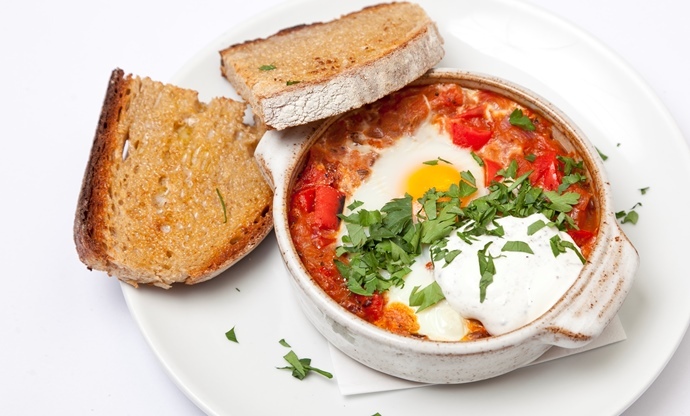 Menemen is a common breakfast dish in Turkey and the surrounding area, but it makes a fantastic lunch dish as well, especially if you’re catering for a large number. Anna Hansen sautés her spices and sweats off her onion, before adding tomatoes and finally eggs. A drizzle of olive oil and a sprinkle of parsley and there you go – a simple, healthy lunch for the masses. 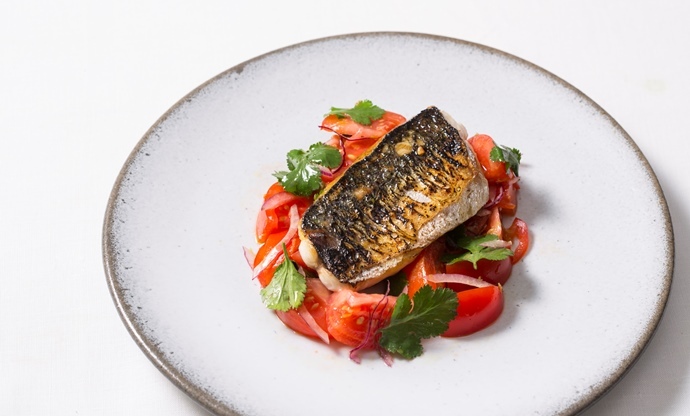 This dish from Robert Thompson uses tomato ceviche to cut through a lovely oily mackerel fillet. Just chop your tomatoes and mix with chilli, red onion, coriander, lime and olive oil, and then char your mackerel fillet and place it on top. The fresh, tart flavours of the ceviche cut beautifully through the oily mackerel, and with both of them bang in season over August, this is perfect for a summer lunch. 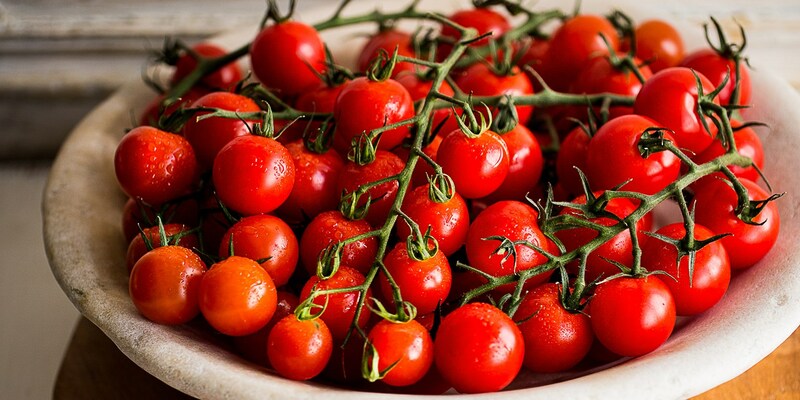 It’s never a bad idea to look to Italy for inspiration when it comes to tomatoes. 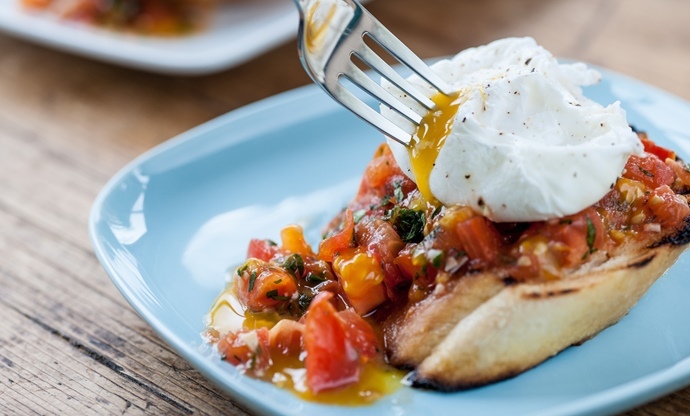 A good bruschetta is so much more than the sum of its parts, and very simple to put together. Marcus Wareing’s take mixes tomato, basil and thyme, slathers it over some sourdough, and tops it all off with a poached egg. Sounds like Sunday morning bliss to us. 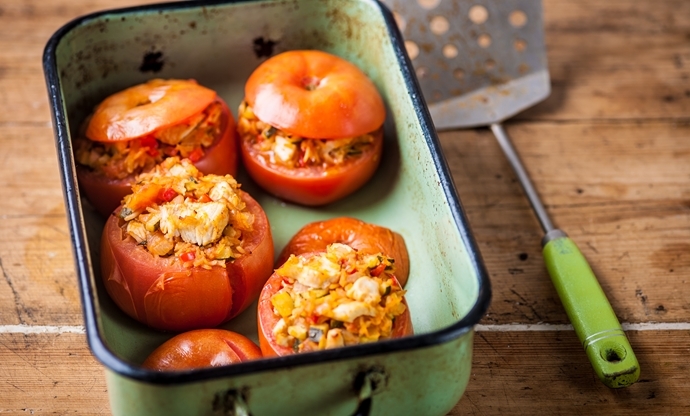 Adam Byatt’s stuffed tomato recipe is perfect if you’ve got a few larger varieties lying about. Just chop off the tops and scoop out the seeds, and you’ve got yourself a perfect tomato vessel ready for baking. 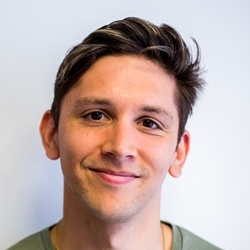 Adam fills his with leftover turkey, rice and herbs and spices, but you could use whatever else you have in the fridge. Just fill them up, bake them for 20–30 minutes, and you’re all set. 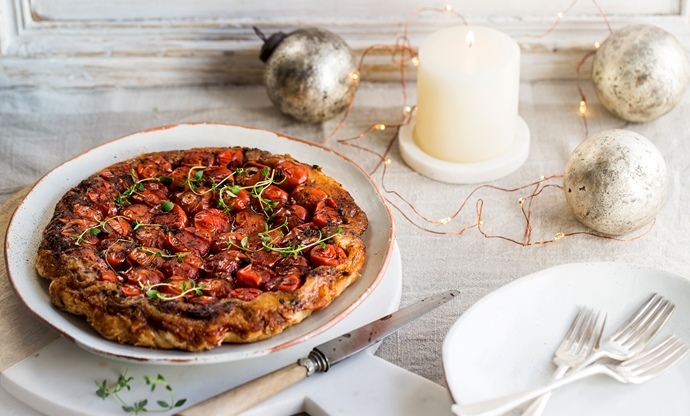 Cherry tomatoes and balsamic vinegar are a match made in heaven, and Louise Robinson’s clever take on a classic French Tatin takes the combination to the next level, introducing delicious, buttery puff pastry to the mix. The recipe is dead simple too – mix your tomatoes with thyme and a good-quality balsamic vinegar, pop them in the bottom of your oven-ready frying pan, then place a circular sheet of puff pastry over the top. Bake until golden, risen and seriously delicious. A good gazpacho is all about two things: great tomatoes and perfect balance. 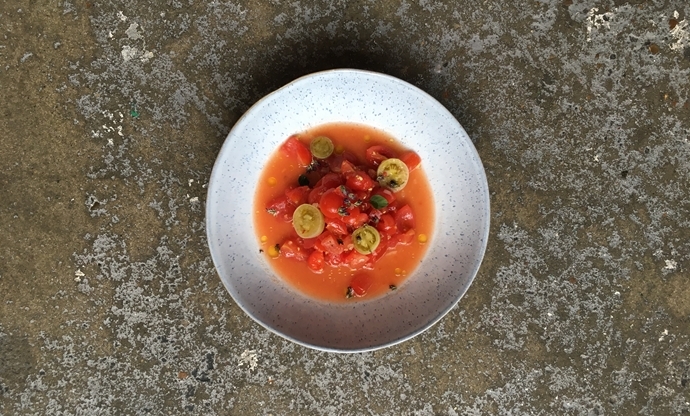 Paul Welburn infuses his plum tomatoes with cucumber, red pepper, red onion and basil overnight for maximum flavour, then blitzes the mixture with tomato juice the next day. 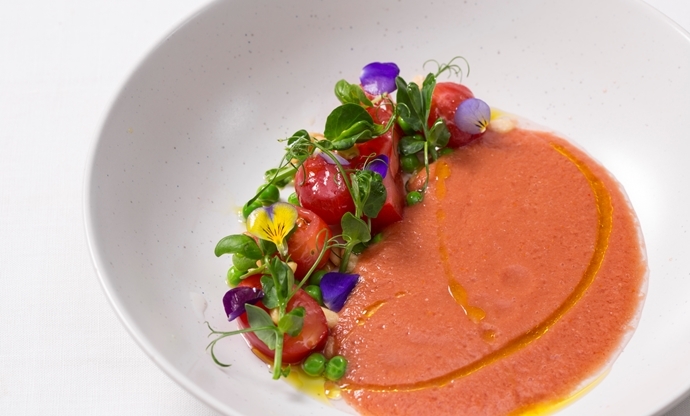 He garnishes his gazpacho with fresh and pickled cherry tomatoes, as well as pine nuts, fresh peas, basil cress, pea shoots and olive oil, creating layer upon layer of complex flavours and textures. Who said gazpacho was boring? Henry Harris’ comforting French bourgeois cuisine is greatly missed in London, but thankfully you can recreate some of his recipes for yourself. 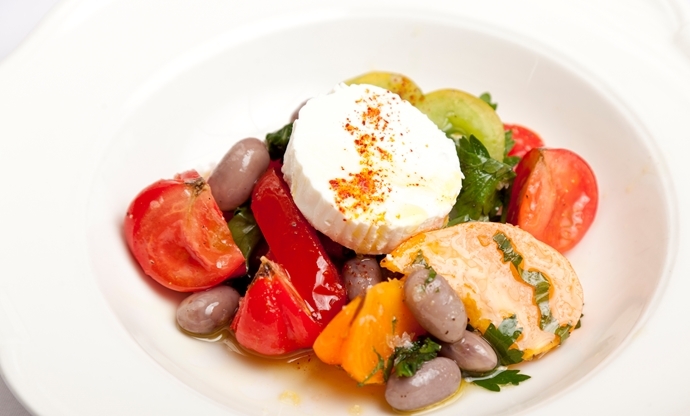 This beautiful salad is a fantastic way to use perfectly ripe tomatoes – just slice them up, mix them with borlotti beans and Rove des Garrigues goat’s cheese and add a simple herby dressing. 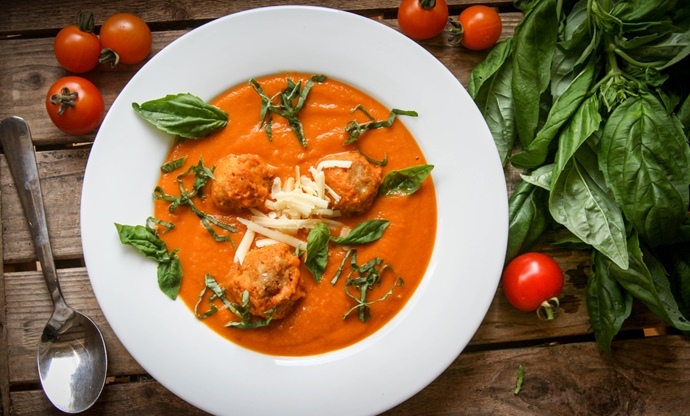 Tomato soup gets a bad rap thanks to the sickly tins we all have buried in our kitchen cupboards, but this recipe is the real deal. 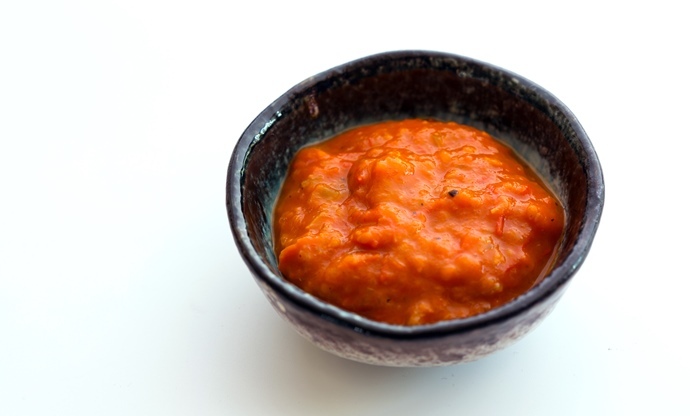 Monica Shaw roasts her tomatoes for an hour until they’re soft and starting to char at the edges, then sweats onion, carrot and garlic in a pan before mixing the whole lot together and blitzing. We’d recommend making a big batch – it’s very moreish and it freezes very well indeed! This bloody mary ketchup adds a nice fiery kick to proceedings by throwing vodka, tabasco, Worcestershire sauce and horseradish sauce into the mix. There are lots of elements to keep track of but the method is dead simple – just sweat down your celery and garlic, add your quartered cherry tomatoes until they’ve softened a bit, then chuck in the rest of your ingredients and simmer gently for twenty minutes. Fresh tomato salsa is lovely, but it won’t solve your glut problems if you have a boatload of tomatoes lying around. Joey O’Hare ferments her salsa, adding incredible depth of flavour as well as preserving it for a good couple of months. Whip up your ferment paste, mix in your tomatoes, and leave the whole lot to ferment for a week or so – just remember to burp the jar each morning and night, or it might explode!